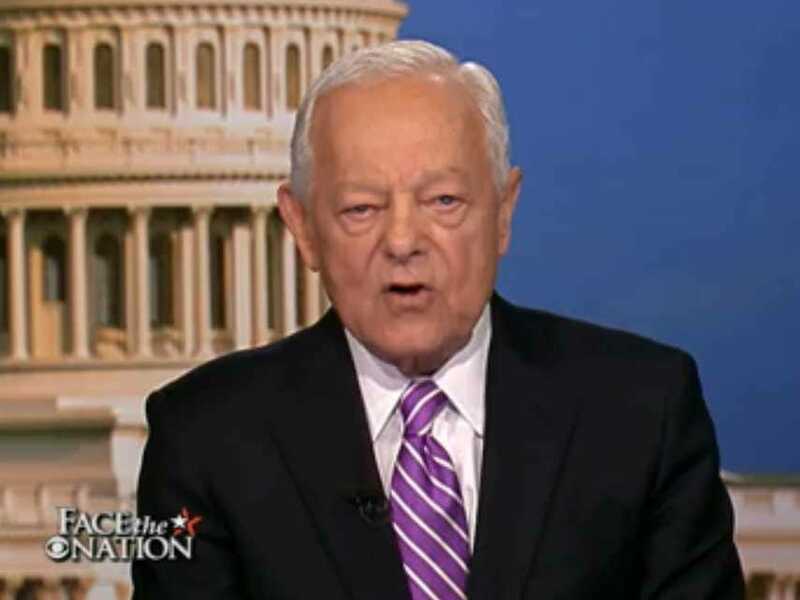 “Face the Nation” host Bob Schieffer ranted at Congress and the White House during a 90-second monologue Sunday, blaming collective Washington “ineptitude” for the spending cuts scheduled to kick in March 1 as a result of the sequester.CBS’ Schieffer lamented that the sequester was “Washington’s own doing.” The policy, signed into law as a stipulation of the 2011 Budget Control Act, was designed based on “the idea was that no sane person would allow such cuts to happen.” It looks increasingly likely to happen, despite Senate Democrats’ introduction a proposal to avert the sequester last week. Schieffer said the purpose of such massive cuts was designed to make Congress take “responsible steps” toward deficit reduction. Schieffer, however, did find one bit of good news in the sequester. He referred to a quote from President Ronald Reagan about how in the event of an alien invasion, citizens of different countries would put aside their differences to work together. “If aliens do attack, our leaders will be well-rested to meet that challenge,” Schieffer said sarcastically, pointing out how Congress is now on recess and President Barack Obama is vacationing this weekend in Florida.